G & G Orchards, Washington. BAC Condenser and EVAPCO Condenser which feeding into a common sump tank. HydroFLOW P100 and HydroFLOW P120. Reduce limescale accumulation, biological growth and corrosion while eliminating the need for descalant, biocide and anti-corrosive chemicals. Blow-down was reduced to less than once a month. Pipes, tubes, fins and sump tank remain clear of limescale, bio-growth and corrosion. 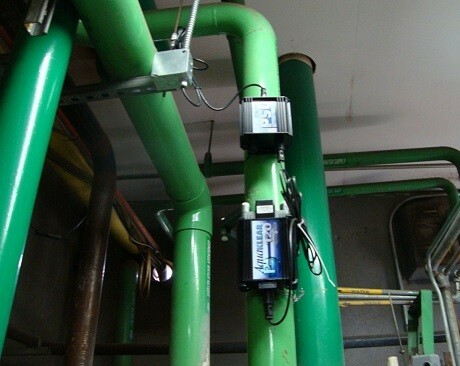 Cost savings associated with reduction in chemicals, reduction in water usage, reduction in maintenance and lessened wear-and-tear led to an ROI of roughly a year.